What To Do When Students Flagrantly Disregard The Rules | So You Want To Teach? I took down the names of the students who remained, and marked the rest as tardy, but this seems insufficient, and not in keeping with the school�s attendance policy. I would appreciate any advice on addressing this problem. Thanks very much! Check with your principal or other school administration to see what their recommendation is. It’s always much easier to follow their advice than having to explain to parents why you didn’t consult administration before punishing their baby. This also shows the principal that you are interested in doing the right thing and being a team player, while still trying to get a better handle on your classroom management. Address the problem specifically with the class. Be sure they know exactly what the consequences will be the next time it happens. Maybe the consequences need to be more severe for repeat offenders. Expect it (or something like it) to happen again and be ready to not lose control. The worst thing you can do is yell and lash our in anger in front of the kids. Maintain control and a calm demeanor at all times and you will regain control. Obviously we don’t know what age group this is, so I’m just assuming it’s secondary of some sort. But what other suggestions would you offer to this teacher? This is exactly why I teach University and would NEVER teach high school. In my experience, if someone wants to be a jerk and disobey all the rules, and their parents don&apos;t care, then there is nothing the teacher (or the administration for that matter) can do. I have been even hearing of how common it now is that you CANNOT fail someone. I LOVE the ability to fail students, because then they actually have a REASON to do well. Without that, why would they work? We would all LOVE to believe that students can and should be self-starters, motivating themselves to do what needs to be done, and learn things for the sake of learning as a whole – not just for a mark, or a passing grade. But how can you expect something of a student that you don&apos;t expect of yourself? Having money problems? Why? The PROBLEMS shouldn&apos;t motivate you…you should just learn how to manage money for the sake of the knowledge! Having marriage troubles? Why? You should have been working this whole time on your marriage, not to avoid the troubles, but for the sake of being "mature"! In real life, you can fail at ANYTHING and EVERYTHING, and sometimes there will be SERIOUS consequences. Why should it be any different in school? 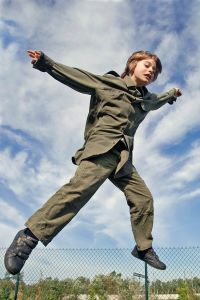 What I would suggest is a meeting with the child&apos;s parents, and discuss what the expectations of being in class are — not expectations of the type "don&apos;t leave before the bell", but rather to show a respect for the rules that the classroom sets up, regardless of how the child feels about them, and ask them flat out what will happen if the child does not meet these expectations. It is the parent&apos;s job to parent, not yours, so let them…er…MAKE them. Ask them what consequences there will be, and if there are none, ask them why they expect the student to submit if there are no consequences? Let them know that, if it continues, you will ask for another meeting. Do not tell them how to parent, but rather let them deal with the consequences of having a disrespectful child, and make it very clear to them what those consequences are. Anyway, that&apos;s my 2 cents. I&apos;m very passionate about this issue because I didn&apos;t learn what my true abilities were in school until I wasn&apos;t allowed to move forward until I changed. 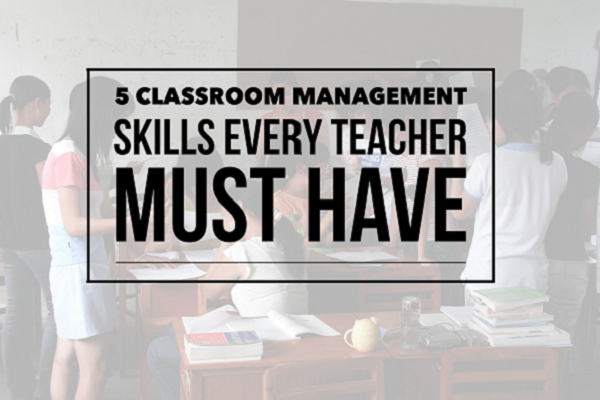 I suggest you find a mentor at your school, a teacher who has developed classroom management strategies that work. I have been teaching for a long time but still can remember those early years. I was fortunate enough to have mentors who helped me develop good classroom management strategies that have enabled me to continue to love teaching the reluctant/struggling teenagers I teach. Without those good mentors in the early years, I don&apos;t know what I would have done. 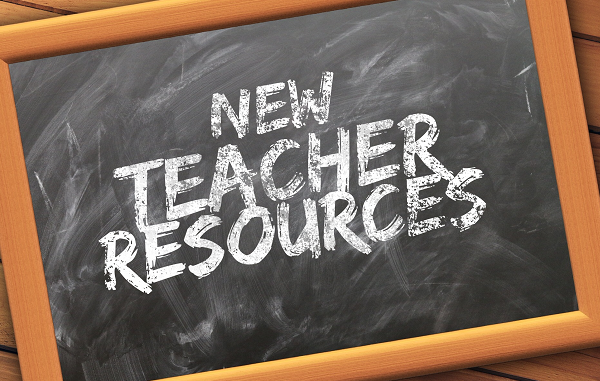 Rather than making numerous suggestions here, I invite you to take a look at my blog http://www.teachersatrisk.com and see if you can find anything useful there. I &apos;ve had newbie teachers write and tell me that the strategies and insights I share have helped them. I hope something I&apos;ve shared on my blog will help you too. Tighten control during class. Carefully structure the clean up process. Give one instruction at a time. Position yourself at the door during this process. Best how-to teaching book I have read is "Teaching outside the box" by LouAnne Johnson. Hang in there! Hm. In the school where I work, &apos;tardy&apos; is when students come to class after the bell rings. Leaving the room without teacher permission is skipping class and an automatic writeup. However, before filling out that many discipline forms, I would probably talk to an administrator about what happened. Plan to call the parent(s) of each student who left without permission. If at ALL possible, do so that very evening. If the children stumble out the door or the end of class is chaotic it&apos;s usually because I didn&apos;t have control of the end of class. If I am doing a project with resources like glue sticks, paper, magazines etc. I make them start cleaning up 3 minutes before the end of class. I tell them that I am dismissing by table once each table is clean and they need to be standing in front of pushed in chairs for dismissal. I stand at the door and dismiss table by table. I will say, " Linda&apos;s table, I still see scissors, folders and one chair not pushed in." I teach middle school grades 5-8 and this works with all grades. I would rather suggest that before punishing one should warn and write a note to parents and get it back the next day with a parent&apos;s sign on it. This is a precaution to avoid parent&apos;s queries. While students break rules, make them follow it strictly by mentioning their progress monthly to the school administration or Principal. Make it very clear to inform the child&apos;s parents in every case of misbehaving by writing a note. If you see no improvement then arrange a meeting with them. Many thanks to all for these helpful and supportive comments. And thank you, Joel, for posting my question. I continue to add to my toolbox!